Timothy Keller takes us to the heart of the gospel in one of the most-read parts of Scripture. With clarity and insight, he helps small groups to be excited by the gift of God in sending his Son to make sinners right with him. It's a righteousness from God. Romans 1:7 is all about that righteousness. It shows us why we don?t have it, why we need it, and how we can receive it. It thrills us that "the gift of God is eternal life in Christ Jesus our Lord" (Romans 6 v 23). This seven-study guide will help groups and individuals to see how wonderful the gift of righteousness is, and inspire them to enjoy it in every part of their lives. Romans 1-7 : The gift of God by Timothy Keller was published by The Good Book Company in February 2014 and is our 15701st best seller. The ISBN for Romans 1-7 : The gift of God is 9781908762924. 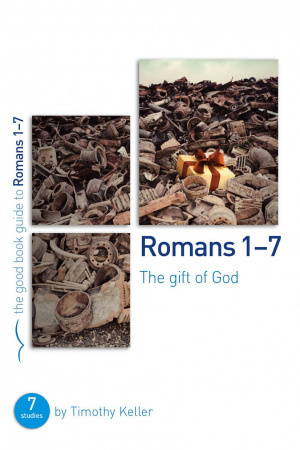 Be the first to review Romans 1-7 : The gift of God! Got a question? No problem! Just click here to ask us about Romans 1-7 : The gift of God.